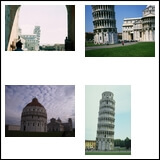 This section lists reading comprehensions on edHelper.com with references to Italy. These may or may not actually be related to Italy. Business Booms During the Renaissance! Tanith Belbin's Story: May I Have this Ice Dance?